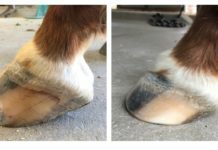 It's not much of a "story", but I just wanted to say that since I switched to Easyboots I have learned so much about my horse's feet. I took a farrier class as one of my college courses and have been trimming and booting ever since. 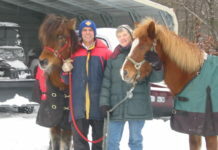 My farrier and I discuss the newest models and how to obtain the optimum trim for my mare for competition. I use the Easyboot Gloves and honestly love having to keep my mare rasped every 2-3 weeks because I can see the changes as her feet improve. 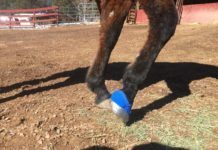 I think we all have lost a boot here and there but it only means perfecting the fit, and most importantly, the hoof. 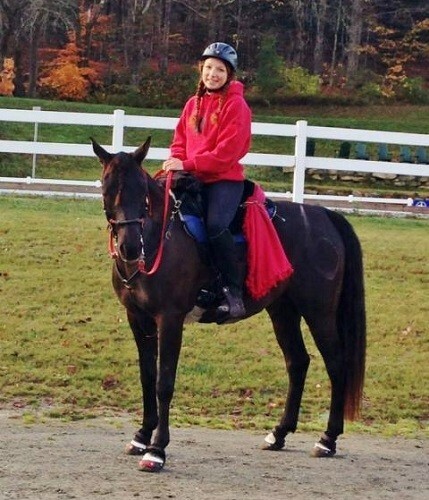 My mare "LR Selena" and I just did our first 30 mile LD last weekend and dragged along our four boots, mallet, and Mueller tape which is what works best for us. The boots protected Selena from the rocky Vermont roads and trails and kept her sound and traveling happy. We ended our ride with all A's on our vet card and received 1st place out of 20 riders! This is just the beginning of great things for us. Thank you EasyCare!